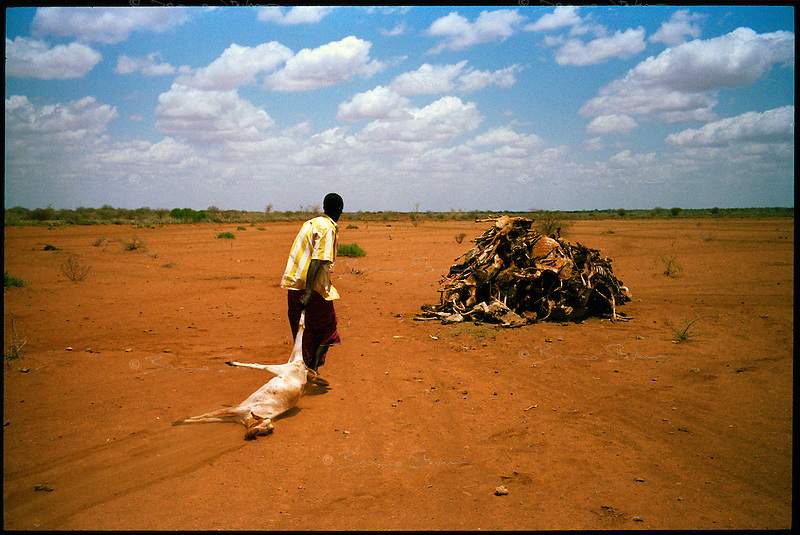 Kotulo, NE Kenya, March 2006.Nur Ali Hilow drags a dead goat from his decimated herd onto a heap of carcasses 2 meters high on the edge of town. In certain parts of East Africa, it hasn't rained for more than 4 years...More than 4 millions people are affected in the region by the worst drought in man's memory. The livestock is decimated and a whole lifestyle threatened.